Mackenzie McDonald couldn't end two winless streaks today. He had his chances, though. Playing in his native San Francisco Bay Area, the unseeded McDonald lost to second-seeded Tennys Sandgren of Gallatin, Tenn., 7-6 (4), 7-6 (3) in the semifinals of the $100,000 Tiburon Challenger at the Tiburon Peninsula Club. McDonald fell to 0-5 against Sandgren and 0-7 in Challenger semifinals. Seven weeks ago, Sandgren routed McDonald 6-1, 6-2 in the second round of a $100,000 Challenger in Aptos, a two-hour drive south of affluent Tiburon. Sandgren, 26, will face eighth-seeded Cameron Norrie of Great Britain on Sunday not before 2:30 p.m. Norrie, a 22-year-old left-hander, dismantled unseeded Prajnesh Gunneswaran of India 6-3, 6-2. Sandgren saved four set points serving at 4-5 in the first set against the 22-year-old McDonald, who was playing in his third consecutive Tiburon semifinal. McDonald, who grew up across the bay in Piedmont, served for the second set at 5-4, but Sandgren broke. Sandgren also trailed 0-3 in the tiebreaker. Overall, the 6-foot-2 (1.88-meter) Sandgren escaped seven of eight break points against him and blasted 10 aces against three double faults. McDonald, only 5-foot-10 (1.78 meters), had three aces and three double faults. Sandgren, ranked No. 104, is 2-2 against Norrie, ranked No. 165. They met only two weeks ago, when Norrie won 6-3, 2-6, 6-2 in the second round of a $50,000 hardcourt tournament in Cary, N.C. Norrie reached the final, in which he lost to American Kevin King. Sandgren, who underwent hip surgery in 2014, seeks the fourth Challenger singles title of his career and third of the year. Norrie, who turned pro in June after his junior year at Texas Christian, won a $50,000 tournament in Binghamton (N.Y.) in July for his only Challenger title. He was the runner-up to countryman Daniel Evans in Aptos last year. The Tiburon title will be the biggest of either player's career. In Sunday's doubles final at noon, top-seeded Marcelo Arevalo of El Salvador and Miguel Angel Reyes-Varela of Mexico will meet unseeded former Cal stars Andre Goransson of Sweden and Florian Lakat of France. Here are the Tiburon Challenger singles and doubles draws and Sunday's schedule. The tournament is being streamed live. Here are the singles qualifying draw, singles main draw and Sunday's schedule for next week's $100,000 Stockton (Calif.) Challenger at the University of the Pacific's Eve Zimmerman Tennis Center. Local favorite Mackenzie McDonald reached the semifinals of the $100,000 Tiburon (Calif.) Challenger for the third consecutive year today. The unseeded McDonald, who grew up in nearby Piedmont in the San Francisco Bay Area, beat Alejandro Gonzalez, a former top-70 player from Colombia, 6-4, 3-6, 6-1 at the Tiburon Peninsula Club. McDonald, 22, will take on second-seeded Tennys Sandgren, a 26-year-old resident of Gallatin, Tenn., who routed wild card Christian Harrison of Bradenton, Fla., 6-1, 6-2. Harrison's older brother, 51st-ranked Ryan, reached the Tiburon final in 2010 at age 18. McDonald, ranked No. 196, is 0-4 against Sandgren, ranked No. 104, and 0-6 in Challenger semifinals. This will be their fourth meeting of the year and first ever past the second round. In their last encounter, Sandgren demolished McDonald 6-1, 6-2 in one hour in the second round of a $100,000 Challenger in Aptos, Calif., a two-hour drive south of Tiburon, in August. Saturday's other semifinal will be a matchup of 6-foot-2 (1.88-meter) left-handers. Eighth-seeded Cameron Norrie, 22, of Great Britain will meet unseeded Prajnesh Gunneswaran, 27, of India for the first time. Norrie, the Aptos runner-up last year, outclassed fourth-seeded Michael Mmoh of Bradenton, Fla., 7-5, 6-2. Mmoh reached the 2016 Tiburon final as an 18-year-old qualifier. Gunneswaran held off another former top-70 player, 33-year-old Frank Dancevic of Canada, 4-6, 6-4, 6-4. Sandgren has rebounded from 2014 hip surgery to break through this year. He played in his first two Grand Slam main draws, first-round losses in the French Open and U.S. Open, and cracked the top 100 for the first time in June. McDonald turned pro in June 2016 after sweeping the NCAA singles and doubles titles as a UCLA junior. He has yet to play in the main draw of a Slam. In the doubles semifinals, unseeded former Cal stars Andre Goransson of Sweden and Florian Lakat of France will play second-seeded Luke Bambridge of Great Britain and David O'Hare of Ireland on Saturday at 11 a.m. The winner will face top-seeded Marcelo Arevalo of El Salvador and Miguel Angel Reyes-Varela of Mexico on Sunday. As soon as his doubles match ends Lakat will rush to Stockton, where he is scheduled to play 34-year-old Dmitry Tursunov of Russia not before 3 p.m. in the first round of qualifying. Stockton is a one-hour, 40-minute drive east of Tiburon. Tursunov moved from his native Moscow to Los Altos in the Bay Area at age 12 to train and climbed to No. 20 in the world in 2006. He owns residences in Moscow and the Sacramento suburb of Folsom. Here are the Tiburon Challenger singles and doubles draws and Saturday's schedule. The tournament is being streamed live. Here are the singles qualifying draw for the $100,000 Stockton Challenger at the University of the Pacific's Eve Zimmerman Tennis Center and Saturday's schedule. After beating Mackenzie McDonald in three sets in the second round of a $100,000 indoor tournament in San Francisco in February, Denis Kudla guaranteed that his then-21-year-old opponent eventually would reach the top 100 in the world. Kudla might have been too prophetic for his own good. McDonald, playing in his native San Francisco Bay Area, defeated Kudla, from Arlington, Va., and Tampa, Fla., 7-6 (6), 6-2 today to reach the quarterfinals of the $100,000 Tiburon Challenger at the Tiburon Peninsula Club. McDonald, now 22, evened his record against Kudla, 25, at 2-2. All four matches between the undersized players -- Kudla is 5-foot-11 (1.80 meters), and McDonald is 5-foot-10 (1.78 meters) -- have occurred in Northern California. This was the first match between McDonald and Kudla decided in straight sets and a rematch of their 2015 Tiburon semifinal, which Kudla won 6-2, 1-6, 6-4 in their initial meeting. Kudla then lost to his good friend Tim Smyczek, who saved four match points. McDonald, from Piedmont on the other side of the bay from Tiburon, turned pro in June 2016 after sweeping the NCAA singles and doubles titles as a UCLA junior. He has risen from No. 266 in the world in singles during the San Francisco tournament to No. 196. Kudla moved from his native Ukraine to Fairfax, Va., on his first birthday with his parents and turned pro out of high school. He was the last remaining American man at Wimbledon in 2015, reaching the round of 16, and climbed to a career-high No. 53 in May 2016. Currently, however, he is No. 166. McDonald will seek his third consecutive berth in the Tiburon semifinals when he meets Alejandro Gonzalez of Colombia on Friday at 11 a.m. Gonzalez eliminated third-seeded Quentin Halys, a 20-year-old Frenchman, 6-4, 6-3. Also in the bottom half of the draw, second-seeded Tennys Sandgren will play fellow American Christian Harrison, a 23-year-old wild card. Harrison's brother, Ryan, was the Tiburon runner-up in 2010 at age 18. He is now ranked 51st. In the top half of the draw, fourth-seeded Michael Mmoh of Bradenton, Fla., will take on eighth-seeded Cameron Norrie of Great Britain, and Frank Dancevic of Canada will face Prajnesh Gunneswaran of India. Mmoh advanced to last year's final as an 18-year-old qualifier, losing to Darian King of Barbados. Both Gonzalez, 28, and Dancevic, 33, are former top-70 players. Here are the Tiburon Challenger singles and doubles draws and Friday's schedule. The tournament is being streamed live. 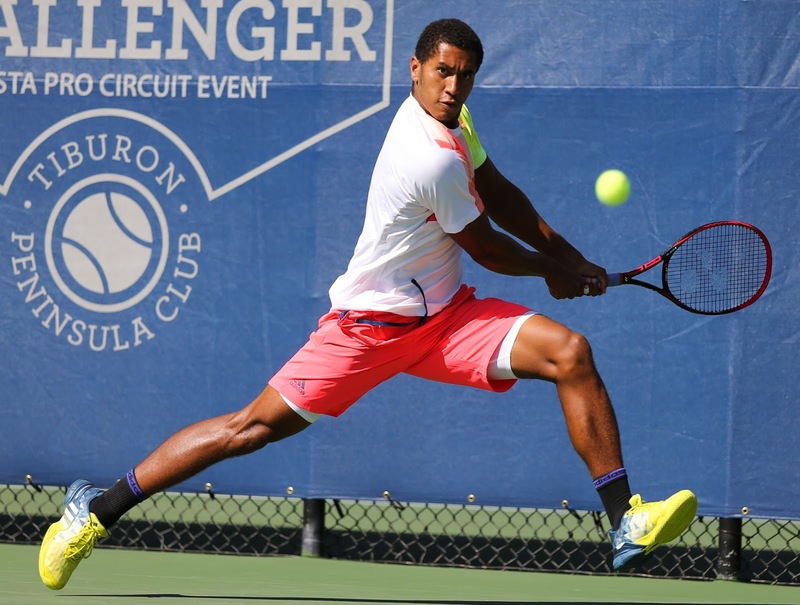 Michael Mmoh came within a fraction of an inch of losing today in the $100,000 Tiburon (Calif.) Challenger. Mmoh, the fourth seed and last year's runner-up as an 18-year-old qualifier, saved two match points and edged 2010 champion Tobias Kamke 6-3, 2-6, 7-6 (7) in the second round at the Tiburon Peninsula Club. Kamke's first match point came while he served at 6-5 in the tiebreaker. On the 31-year-old German's second serve, a Mmoh forehand struck the net cord and went over. Kamke managed to return the ball, but Mmoh countered with a backhand lob, and Kamke netted a backhand overhead. On the next point, with Kamke still serving, Mmoh netted a backhand to hand Kamke his second match point. But Mmoh, from Bradenton, Fla., responded with a service winner and an ace to earn his first match point. Kamke, ranked No. 210 after climbing as high as No. 64 in 2011, then hit an inside-out forehand wide to end it. Last year, Mmoh survived three match points against Tennys Sandgren in the first round and one against third seed and defending champion Tim Smyczek in the semifinals. Mmoh, the son of former journeyman pro Tony Mmoh from Nigeria, then lost to Darian King of Barbados. Mmoh, ranked No. 141, will face eighth-seeded Cameron Norrie of Great Britain in Friday's quarterfinals. The left-handed Norrie, who reached the final of last year's $100,000 Aptos (Calif.) Challenger, beat American Mitchell Krueger, a Tiburon quarterfinalist in the past two years, 4-6, 6-2, 6-2. In the other quarterfinal in the top half of the draw, Frank Dancevic of Canada will meet Prajnesh Gunneswaran of India. Like Kamke, Dancevic is a former top-70 player in his 30s. The 33-year-old veteran, who reached No. 65 in 2007, dispatched wild card Tom Fawcett of Winnetka, Ill., 6-3, 6-4. The 6-foot-5 (1.96-meter) Fawcett, a Stanford senior, ousted top-seeded Ruben Bemelmans of Belgium in the first round on Tuesday for his first Challenger main-draw victory. Gunneswaran, a 27-year-old left-hander, defeated U.S. qualifier Deiton Baughman 7-6 (5), 6-4. The quarterfinal matchups in the bottom half of the draw will be determined on Thursday. Here are the Tiburon Challenger singles and doubles draws and Thursday's schedule. The tournament is being streamed live. Tom Fawcett's first Challenger main-draw victory was a big one. The 6-foot-5 (1.96-meter) wild card, a Stanford senior, shocked top-seeded Ruben Bemelmans of Belgium 3-6, 6-3, 6-3 today in the first round of the $100,000 Tiburon (Calif.) Challenger. It was Fawcett's first win over a top-100 player. Bemelmans, a 29-year-old left-hander, is ranked No. 92. He won a $25,000 tournament in Burlingame, a one-hour drive south of Tiburon in the San Francisco Bay Area, last October and reached the third round at Wimbledon in July as a qualifier. However, Bemelmans was playing in his first tournament since losing in the first round of the U.S. Open to 16th-seeded Lucas Pouille of France in late August. Bemelmans' rustiness showed, as he made numerous forehand errors. Three other seeds, including defending champion Darian King of Barbados, lost today at the Tiburon Peninsula Club. Bay Area native Mackenzie McDonald knocked out the sixth-seeded King 7-5, 6-3. McDonald, a 22-year-old former UCLA star, has reached the Tiburon semifinals in each of the past two years. He fell to King 4-6, 7-5, 7-5 in last year's semis. Lucky loser Jan Choinski of Germany ousted fifth-seeded Ramkumar Ramanathan of India 6-1, 6-2, and qualifier Deiton Baughman, a 21-year-old American, surprised seventh-seeded Felix Auger-Aliassime, a 17-year-old Canadian phenom, 6-2, 6-2. McDonald will face Denis Kudla, who avenged a loss to Tim Smyczek in the scintillating 2015 Tiburon final. Kudla, 25, beat his friend and fellow American 6-7 (5), 7-5, 6-3. Like Choinski, Smyczek was a lucky loser. In the last match of the day, second-seeded Tennys Sandgren downed qualifier Sekou Bangoura 6-4, 6-4 in an all-American encounter. Bangoura also qualified for Tiburon two years ago and ousted fourth-seeded Dustin Brown of Germany in the opening round. Bangoura then lost to McDonald 7-6 in the third set in the second round. Brown is 2-0 against current world No. 1 Rafael Nadal. Both wins have come on grass, including a second-round meeting at Wimbledon in 2015. Fawcett, from Winnetka, Ill., pounded eight aces and committed four double faults. Bemelmans had one ace and six double faults. Fawcett broke serve to lead 5-3 in the third set on a Bemelmans forehand error. Fawcett, rather than fold under pressure, held serve at 30 with a service winner for the match. Fawcett will play Frank Dancevic, a 33-year-old Canadian, in the second round. Dancevic, ranked No. 356 after climbing to a career-high No. 65 in 2007, beat U.S. wild card Alexander Sarkissian 7-6 (5), 6-4. Here are the singles and doubles draws and Wednesday's schedule. Michael Mmoh had little trouble with Noah Rubin this time. In a matchup of top U.S. prospects, the fourth-seeded Mmoh routed Noah Rubin 6-1, 6-2 in 1 hour, 6 minutes today in the first round of the $100,000 Tiburon (Calif.) Challenger. Mmoh, last year's runner-up to Darian King of Barbados, won all 20 points on his first serve against Rubin, 21, at the Tiburon Peninsula Club in the San Francisco Bay Area. Rubin, the 2014 Wimbledon boys champion, defeated Mmoh 6-2, 6-3 in the semifinals of last year's $100,000 Stockton (Calif.) Challenger in their only previous meeting. Mmoh aggravated an abdominal strain at 2-2 in the first set. Rubin, only 5-foot-9 (1.75 meters) and 150 pounds (68 kilograms), went on to lose to U.S. phenom Frances Tiafoe in the final. Mmoh, the 19-year-old son of former journeyman pro Tony Mmoh, will play Tobias Kamke, the 2010 Tiburon champion, on Wednesday in the second round. Kamke, a 31-year-old German, dismissed Christian Garin of Chile 6-3, 6-1 in one hour. Meanwhile, Mitchell Krueger of Orlando, Fla., defeated Sam Groth of Australia 6-4, 7-5. Groth, unofficially the world's fastest server, had eight aces and five double faults. In the final round of qualifying, Sekou Bangoura of Bradenton, Fla., defeated 2015 champion Tim Smyczek of Tampa, Fla., 6-2, 2-6, 6-2. However, Smyczek (pronounced SMEE-check) advanced to the main draw as a lucky loser when Dennis Novikov of Milpitas in the San Francisco Bay Area withdrew with an ankle injury. Novikov reached the singles quarterfinals and doubles final (with Quentin Halys of France) last year. Smyczek will play fellow American and friend Denis Kudla on Tuesday in a rematch of the 2015 final, a thriller won by Smyczek. Here are the singles qualifying draw, singles and doubles main draws, and Tuesday's schedule. Live streaming of the tournament is available. Two of the United States' top men's prospects will meet on Monday in the first round of the $100,000 Tiburon (Calif.) Challenger. Fourth-seeded Michael Mmoh, 19, will face Noah Rubin, 21, for the second time not before 3 p.m. at the Tiburon Peninsula Club in the San Francisco Bay Area. Rubin won 6-2, 6-3 in the semifinals of last year's $100,000 Stockton Challenger as Mmoh aggravated an abdominal strain at 2-2 in the first set. Rubin, only 5-foot-9 (1.75 meters) and 150 pounds (68 kilograms), went on to lose to U.S. phenom Frances Tiafoe in the final. Mmoh, the 6-foot-1 (1.85-meter) son of former journeyman pro Tony Mmoh, was the runner-up to Darian King at Tiburon last year as a qualifier. Rubin reached the second round of the Australian Open as a qualifier in January, losing to eventual champion Roger Federer 7-5, 6-3, 7-6 (3). As a junior, Rubin played at the John McEnroe Tennis Academy in New York and won the 2014 Wimbledon boys title. Mmoh is ranked No. 142 to Rubin's No. 195. Also on Monday, 2010 Tiburon champion Tobias Kamke of Germany will play Christian Garin of Chile. In today's second round of qualifying, top seed and 2015 champion Tim Smyczek beat Greg Jones of Australia 6-4, 6-1. Smyczek will play fellow American Sekou Bangoura, who defeated former Cal star Andre Goransson of Sweden 6-2, 6-4, for a berth in the main draw. Here are the singles qualifying draw, the singles and doubles main draws, and Monday's schedule. Top-seeded Ruben Bemelmans of Belgium will face wild card Tom Fawcett, a Stanford senior from Winnetka, Ill., on Monday or Tuesday in the first round of the Tiburon (Calif.) Challenger. The singles draw for the $100,000 tournament at the Tiburon Peninsula Club, across the Golden Gate Bridge from San Francisco, was held today. Bemelmans, a 29-year-old left-hander, reached the third round of Wimbledon as a qualifier in July. He is ranked No. 92 in the world. Fawcett, 6-foot-5 (1.96 meters), is No. 8 in the college preseason rankings. Second-seeded Tennys Sandgren of Gallatin, Tenn., will meet Dennis Novikov of Milpitas in the San Francisco Bay Area. Sandgren, who lost in the first round of the French Open and U.S. Open this year in his first two Grand Slam main-draw appearances, is ranked No. 100. Sixth seed and defending champion Darian King of Barbados will play Mackenzie McDonald, who grew up in Piedmont in the Bay Area. Fourth-seeded Michael Mmoh, last year's runner-up, will take on Noah Rubin, the 2014 Wimbledon boys champion, in a matchup of top American prospects. In the first round of qualifying today, top seed and 2015 champion Tim Smyczek of Tampa, Fla., beat Christopher O'Connell of Australia 6-4, 5-7, 6-2. Smyczek, 29, will face another Australian, Greg Jones, on Sunday after a 10 a.m. match on Center Court. Andre Goransson of Sweden defeated Bernardo Saraiva of Portugal 6-4, 6-3 in a matchup of former Cal and USF standouts, respectively. Falling were wild cards Florian Lakat of France, John Lamble of Saratoga in the Bay Area and Stevie Gould of nearby Corte Madera. Lakat played with Goransson at Cal, and Lamble starred at Santa Clara. Gould is ranked No. 1 in the Northern California 18s. Here are the singles main draw, singles qualifying draw and Sunday's schedule. Two years is an eternity in pro tennis. The American veteran, who won the $100,000 Tiburon (Calif.) Challenger in 2015, is seeded first in qualifying for this year's tournament. Smyczek (pronounced SMEE-check), a 29-year-old Milwaukee native now based in Tampa, Fla., is scheduled to play Christopher O'Connell, a 23-year-old Australian, on Saturday not before 1 p.m. at the Tiburon Peninsula Club. Play begins at 10 a.m. The 5-foot-9 (1.75-meter) Smyczek is ranked No. 189 after reaching a career-high No. 68 in April 2015. O'Connell is No. 311. Smyczek, a consummate pro, is best known for his sportsmanlike gesture in a five-set loss to Rafael Nadal in the second round of the 2015 Australian Open. With Nadal, suffering from stomach cramps and dizziness, serving for the match at 6-5, 30-0 in the fifth set, Smyczek allowed the Spaniard another first serve after a fan yelled during his toss to cause a fault. The Tiburon qualifying draw also features former San Francisco Bay Area college stars Andre Goransson and Florian Lakat (both Cal), Bernardo Saraiva (USF) and John Lamble (Santa Clara), as well as Stevie Gould, ranked No. 1 in the Northern California 18s, of nearby Corte Madera. The main draw begins Monday. Here are the singles qualifying draw and Saturday's schedule. Dmitry Tursunov isn't ready to retire. "I'll try to play for now," the 34-year-old Russian, who owns a townhouse in the Sacramento suburb of Folsom, texted recently. Tursunov has been unable to complete his last two matches, in the first round of the U.S. Open and the second round of qualifying for the $50,000 Atlantic Tire Championships in Cary, N.C., because of injuries. He returned to competition in July at Wimbledon after missing almost one year for the same reason. In fact, the 582nd-ranked Tursunov has been hampered by leg injuries for most of his career. During a rare period of good health, he climbed to a career-high No. 20 in 2006. Tursunov has won two singles matches in seven tournaments this year, and one of the victories was by walkover. He moved from his native Moscow to the San Francisco Bay Area at 12 to train and to the Sacramento area at 18. Nobody can say Robin Anderson backed into the singles title of the $25,000 Ascension Project Women's Challenger. The unseeded Anderson, a 24-year-old former UCLA star from Matawan, N.J., upset four seeds to earn the second and biggest crown of her career. In today's final, the 5-foot-3 (1.61-meter) Anderson defeated No. 6 seed Chanel Simmonds of South Africa 6-1, 6-4. Anderson also knocked off No. 2 Ulrikke Eikeri of Norway in the first round, No. 5 Karman Kaur Thandi of India in the quarterfinals and No. 4 Jovana Jaksic, a Serbian living in Sacramento, in the semifinals. While Anderson had a tough road to the final, Simmonds' hardly could have been easier. After two straight-set victories, she received a walkover in the quarterfinals and a retirement at 4-1 in the semifinals. Anderson, the 2013 runner-up to Adriana Perez of Venezuela as a UCLA junior-to-be, pocketed $3,919 for the championship. Her other singles title came in a $10,000 hardcourt tournament in Landisville, Pa., in 2011. Simmonds, 25, collected $2.901. The 5-foot-5 (1.65-meter) left-hander was seeking her 17th singles crown and fourth in a $25,000 tournament. Her other titles came in smaller events. Both finalists will rise to about No. 302 in the Sept. 24 rankings, Anderson from No. 369 and Simmonds from No. 330. They have been ranked as high as No. 183 and No. 158, respectively. Unseeded players also won the doubles title as Daneika Borthwick of Great Britain and Ana Veselinovic of Montenegro beat third-seeded Harriet Dart of Great Britain and Maria Sanchez of the United States 6-3, 6-4. Veselinovic stunned top-seeded Sofya Zhuk, the 2015 Wimbledon girls champion at age 15, in the first round of singles en route to the quarterfinals. Sanchez, a 27-year-old Modesto product, won the 2011 Redding doubles title with since-retired Yasmin Schnack of Sacramento. Here are the complete singles and doubles draws. Robin Anderson will play for the singles title in Redding, Calif., again. The unseeded former UCLA star from Matawan, N.J., beat fourth-seeded Jovana Jaksic, a Serbian living in Sacramento, 6-4, 6-3 today in the $25,000 Ascension Project Women's Challenger at Sun Oaks Tennis & Fitness. The 24-year-old Anderson, only 5-foot-3 (1.61 meters), had eight aces and no double faults as she upset a seed for the third time in the tournament. She knocked off No. 2 Ulrikke Eikeri of Norway in the first round and No. 5 Karman Kaur Thandi of India in the quarterfinals. Anderson, the 2013 runner-up to Adriana Perez of Venezuela, will try to make it four seeds when she meets No. 6 Chanel Simmonds of South Africa on Sunday after the 1 p.m. doubles final. Simmonds, a 25-year-old left-hander, has played only 19 minutes total in the last two rounds. She led 4-1 today when eighth-seeded Katie Swan of Great Britain retired with an upper-leg injury. Qualifier Urszula Radwanska, the younger sister of 11th-ranked Agnieszka Radwanska, withdrew from her quarterfinal against Simmonds with foot blisters. Simmonds, 5-foot-5 (1.65 meters), and Anderson have met once. Simmonds won 6-1, 1-6, 7-5 in the first round of qualifying for the $50,000 Lexington (Ky.) Challenger on a hardcourt in 2015. In Sunday's doubles final, third-seeded Harriet Dart of Great Britain and Maria Sanchez from Modesto will play unseeded Daneika Borthwick of Great Britain and Ana Veselinovic of Montenegro. Sanchez won the 2011 doubles title with since-retired Yasmin Schnack of Sacramento. Admission to the tournament is free. Here are the singles and doubles draws and Sunday's schedule. Fourth-seeded Jovana Jaksic, a Serbian living in Sacramento, subdued unseeded American Caitlin Whoriskey 5-7, 6-2, 7-5 in 2 hours, 40 minutes today in the quarterfinals of the $25,000 Ascension Project Women's Challenger in Redding, Calif.
Sacramento is a 2 1/2-hour drive south of Redding. Jaksic, 23, will face unseeded Robin Anderson, a 5-foot-3 (1.61-meter) American, for the first time in Saturday's second semifinal at Sun Oaks Tennis & Fitness. Anderson, the 2013 singles runner-up and doubles champion (with Lauren Embree), outlasted fifth-seeded Karman Kaur Thandi of India 6-7 (6), 6-1, 6-3 in 2 hours, 51 minutes. In the first semifinal at 4 p.m., No. 6 seed Chanel Simmonds of South Africa will meet No. 8 Katie Swan of Great Britain for the first time. Simmonds, a 25-year-old left-hander, advanced when qualifier Urszula Radwanska, a former top-30 player, withdrew with foot blisters. Radwanska, the younger sister of 11th-ranked Agnieszka Radwanska, needed 3 hours, 28 minutes to beat third-seeded Harriet Dart of Great Britain 7-6 (2), 1-6, 7-6 (5) on Thursday. Swan, 18, dispatched Ana Veselinovic of Montenegro 6-3, 6-3. Veselinovic, a 29-year-old left-hander, ousted top-seeded Sofya Zhuk, the 2015 Wimbledon junior girls champion at age 15, in the opening round. Maria Sanchez, a 27-year-old Modesto product, reached the doubles final with Dart. The third seeds outclassed second-seeded Jaksic and Simmonds 6-3, 6-1. Dart and Sanchez, who won the 2011 title with since-retired Yasmin Schnack of Sacramento, will play unseeded Daneika Borthwick of Great Britain and Veselinovic on Sunday. Admission to the tournament is free. Here are the singles and doubles draws and Saturday's schedule. Qualifier Urszula Radwanska, a former top-30 player from Poland, edged third-seeded Harriet Dart of Great Britain 7-6 (2), 1-6, 7-6 (5) in 3 hours, 28 minutes today to reach the quarterfinals of the $25,000 Ascension Project Women's Challenger in Redding, Calif. The match was one of three marathons at Sun Oaks Tennis & Fitness. Eighth-seeded Katie Swan of Great Britain outlasted qualifier Lauren Marker, a former University of Arizona star from Rancho Mirage, Calif., 7-6 (3), 4-6, 6-4 in 3 hours, 18 minutes in the featured evening singles match. Also, Ana Veselinovic of Montenegro held off Quinn Gleason, an ex-Notre Dame standout from Mendon, N.Y., 6-3, 3-6, 6-4 in 2 hours, 58 minutes. Veselinovic committed 15 double faults, bringing her total to 25 in two tournament matches. The 29-year-old left-hander ousted top-seeded Sofya Zhuk, the 2015 Wimbledon junior champion at 15 years old, 4-6, 6-4, 7-5 in the first round. Swan will face Veselinovic and Radwanska will meet sixth-seeded Chanel Simmonds of South Africa in the top half of the draw. Fourth-seeded Jovana Jaksic, a Serbian living in Sacramento, will take on American Caitlin Whoriskey and fifth-seeded Karman Kaur Thandi of India will play American Robin Anderson, the 2013 runner-up to Adriana Perez of Venezuela, in the bottom half. Here are the singles and doubles draws and Friday's schedule. REDDING, Calif. -- For Urszula Radwanska, it's like going from Broadway to summer stock in Poughkeepsie. The younger sister of star Agnieszka Radwanska climbed to the top 30 in the world five years ago. She has beaten former No. 1s Venus Williams, Ana Ivanovic and Jelena Jankovic, as well as Grand Slam champions Svetlana Kuznetsova and Francesca Schiavone. Urszula Radwanska has reached the second round of all four Grand Slam tournaments a combined nine times, the same stage of the 2012 Olympics in London while representing Poland and the doubles quarterfinals of the 2009 French Open. She has earned $1.88 million in career prize money. But now Radwanska finds herself battling a bunch of college kids and other hopefuls in front of about 50 fans in the $25,000 Ascension Project Women's Challenger at Sun Oaks Tennis & Fitness. The singles winner will receive a whopping $3,919 compared with the $3.7 million that Sloane Stephens pocketed for winning the recent U.S. Open. Adding to the indignity, Radwanska had to qualify for the tournament with a ranking of No. 716. "It's very, very tough to get the motivation again because I was playing in the big moments on the big courts with big-name stars, so coming here to a 25 is not easy where there are no ballboys," Radwanska, 26, conceded after defeating Russian Veronica Miroshnichenko, an incoming freshman at Loyola Marymount in Los Angeles, 7-6 (4), 6-1 in the first round in tonight's featured match. "There wasn't even an umpire for my first match of qualies, so it's a completely different world for me. "It's tough because I know I don't belong here. I know my level is much higher. I just need to play a couple more matches, a couple more tournaments, and I'm sure I'm going to be back where I was." What happened? Three major operations and a debilitating illness. First came spine surgery for a stress fracture at age 19, when she already was ranked 66th in the world. That knocked her out for six months, but Radwanska rebounded to attain a career-high ranking of No. 29 in 2012. A few years later came shoulder surgery that kept her out for four months. Again, she bounced back to crack the top 100. Last February, Radwanska had surgery for two torn ankle ligaments and missed three months. After playing for two months, she contracted mononucleosis. Radwanska tried to come back in February this year but was still weak. This is the third tournament of Radwanska's latest comeback. She lost in qualifying in $25,000 and $60,000 clay-court tournaments in Hungary. "So, yeah, I've been a little big unlucky with injuries and mononucleosis," Radwanska said with a laugh, " but I'm still fighting. I'm happy to be back and happy to be healthy. I'm trying to get back where I was." Against Miroshnichenko, Radwanska saved three set points serving at 4-5 in the first set and held for 5-5 amid a flurry of unforced errors by the 19-year-old left-hander. Radwanska bolted to a 5-0 lead in the tiebreaker and held on for the set. In the second set, Miroshnichenko was broken for 1-3 on a double fault and 1-5 on a backhand volley that sailed long. "It was tough," Radwanska said of the match. "She was lefty, so that's always not easy to play against. I couldn't get my rhythm because she was playing sometimes soft, sometimes strong. That was tough, but I'm happy I found a way to win." Radwanska's experience helped her pull out the first set. "At 5-all, I could see she's shaking a little bit, so I took advantage of her and won the first set," Radwanska said. Another player with extensive Grand Slam experience, at least in doubles, was upset in the opening round. Seventh-seeded Maria Sanchez, a 27-year-old Modesto product, fell to little Lorraine Guillermo, a 24-year-old wild card from Walnut in Southern California, 2-6, 6-4, 6-2. Sanchez, the only American singles seed this year, won the 2011 Redding doubles title with since-retired Yasmin Schnack of Sacramento. Sanchez, 5-foot-10 (1.78 meters), had dominated Guillermo, only 5-foot-4 (1.63 meters) and 125 pounds (56.7 kilograms), 6-2, 6-2 in the last round of qualifying for the $25,000 Rancho Santa Fe Challenger in the San Diego area in February. It was their only previous meeting. "I think I've improved since then," mused Guillermo, a former Pepperdine All-American ranked No. 970. "I hope I would have improved in seven months. I think I played a bit more aggressive and focused on what I needed to do. She serves-and-volleys, which is kind of intimidating to play against, so I just focused on hitting my own shot." Guillermo rallied from a set and a break down against Sanchez, ranked No. 353 in singles after reaching a career-high No. 107 in 2013. "I wasn't really focusing on the score," Guillermo said. "I was really just focused on what was in front of me, like playing that point at that moment. Of course, the score is in play, but I just really had to focus on what I needed to do right then and there." Sanchez never held serve the rest of the way. Two qualifiers with Northern California connections also lost. Kat Facey, 24, of Placerville (near Sacramento) fell to American Caitlin Whoriskey 60, 6-3. Both players have an unusual stroke. Whoriskey, who won the 2015 Redding doubles title with compatriot Ashley Weinhold, is one of the few women with a one-handed backhand. Even more rare, Facey uses two hands on both sides. She and her fraternal twin sister, Alexandra, were the doubles runners-up in Redding in 2014. Olivia Hauger, a Cal junior, succumbed to Japan's Kana Daniel, another qualifier, 7-6 (3), 6-0. Urszula Radwanska, 5-foot-10 (1.77 meters), and her 28-year-old sister, 5-foot-8 (1.73 meters), have different games. "I'm more aggressive on the court," Urszula said. "She's more tricky and waiting for opponents' mistakes." Urszula admits she's tired of being compared to Agnieszka, who rose to a career-high No. 2 in 2012 but has dropped to No. 11. "It's not easy," Urszula said. "A lot of people are asking me when I'm going to be as good as my sister, but like I said, I was a little bit unlucky. I had those surgeries which stopped me, so I'm just going a different way. Maybe it will take me more time to be a top player, but I believe I'm going to be there." Here are The Ascension Project singles and doubles draws and Thursday's schedule. REDDING, Calif. -- It shaped up as a colossal mismatch. Sofya Zhuk, the Wimbledon junior girls champion two years ago at 15, faced Ana Veselinovic, a 29-year-old journeywoman, on Tuesday in the first round of the $25,000 Ascension Project Women's Challenger. Zhuk, a 17-year-old Russian based in Bradenton, Fla., was seeded first at No. 143 in the world. Veselinovic, a native of tiny Montenegro ("Black mountain" in English) across the Adriatic Sea from Italy, is ranked No. 441. She has never been higher than No. 329, and that was 10 years ago before she earned a college degree in the United States. Zhuk was coming off her first appearance in the main draw of a Grand Slam tournament, falling to 50th-ranked Yulia Putintseva of Kazakhstan in the first round of the U.S. Open as a qualifier. Veselinovic has never even played in the qualifying event at a Slam. None of it mattered. Veselinovic, a 5-foot-8 (1.73-meter) left-hander, outslugged Zhuk 4-6, 6-4, 7-5 in 2 hours, 13 minutes on a scorching afternoon at Sun Oaks Tennis & Fitness. Veselinovic overcame 10 double faults with clutch serving and pinpoint groundstrokes. "She's a great player, she's young, and it was my first time playing against her," Veselinovic said. "My ranking right now is low -- I had some injuries -- so I didn't really have the opportunity to show my potential and play a lot of matches. "But I believe that ranking doesn't tell all. Anybody can beat everybody. It's not about what's written on the paper. You go on the court, and you put your heart (into it), and it can only work out good for you." Indeed, Veselinovic exhibited much better body language than Zhuk, who was not available to comment on the match. While Zhuk moped around the court between points, Veselinovic ran in place despite the 100-degree (37.8 Celsius) heat. In the evening singles match, the second seed also lost. Ulrikke Eikeri of Norway fell to American Robin Anderson, a former UCLA star, 2-6, 6-4, 6-1 in a matchup of 24-year-olds. But unlike Veselinovic's victory, Anderson's was not a big surprise. First, Eikeri does not have Zhuk's credentials. Eikeri is ranked considerably lower at No. 279 (second in Norway behind No. 265 Melanie Stokke). Also, the 5-foot-3 (1.61-meter) Anderson was the singles runner-up and doubles champion four years ago in Redding. Finally, Anderson had beaten Eikeri in three sets in their only previous meeting. That came last year in the first round of a $25,000 clay-court tournament in Jackson, Miss. Fourth-seeded Jovana Jaksic of Serbia avoided an upset, topping Sandra Samir of Egypt 5-7, 6-2, 6-1 in a match featuring many long, grueling rallies. But the heat didn't faze Jaksic, who moved from Las Vegas to Sacramento last December. Shortly after her match, she practiced briefly under the guidance of her new coach, John Rodrigues of Sacramento. Jaksic's Serbian boyfriend, Vuja Jovic, is a real estate broker in Sacramento. In the longest match of the day, wild card Anna Bright, a Cal freshman, outlasted fellow American Shelby Talcott 6-4, 1-6, 7-5 in 2 hours, 56 minutes. When Veselinovic found out she had drawn the top seed, she took it in stride, according to her coach. "She was OK," Igor Tomasevic said. "She's been around. It's not like a little girl crying. She was thinking, bad luck, because there's such a big difference between the ranking of the first seed and all the other girls. But on the other side, the underdog always has a chance." A case of nerves cost Veselinovic the first set. "The first round is always tough," she said. "You want to (get going); you want to play. Your emotions carry you away, and you can't do that against good players because you lose a game or two, you lose a set, and that's what happened with me. You've got to be there from the beginning until the end because there are no easy points." Once Veselinovic calmed down, she took the second set. There were no service breaks in the third set until Zhuk served at 4-4. Then both players inevitably got tight, resulting in three consecutive breaks. Given a second chance to serve for the match, Veselinovic held at love. "It's great to get her confidence back because this year is not so great for her," Tomasevic said of the victory. "Her expectation was higher, her ranking was solid, but things didn't happen quite well this year. It's a great win to have a new start of the year practically in September. It can lift her up." Veselinovic hopes to crack the top 400 this year, eventually reach the top 100 and stay there for a couple of years. "I have my goals, and I'm motivated," she said. "Nothing has changed. I'm still the same as when I was just out of college. I haven't really showed all I can do, my potential. With everything I've been through, I still believe. I have my dream. I love this. I'll just keep going until my body gives up." Veselinovic has battled two herniated discs in her back since she led Auburn University-Montgomery (Ala.) to its eighth NAIA (small college) title in nine years in 2012. "I've been able to work around it," said Veselinovic, who has not had surgery. "It's not easy, but I've learned how to cope with the pain and with some limitations that I have. When you love what you do -- and love means everything -- you've got to ignore (the pain and limitations) and be positive." It would be easy to consider Veselinovic the ultimate underdog, but she doesn't buy it. "I don't think being injured, (my) small country or the (college) division I played makes me an underdog," Veselinovic said. "I don't feel like that. I feel good where I am." Here are The Ascension Project singles and doubles draws and Wednesday's schedule. A teenage phenom, a former top-30 player and a Northern California product highlight the field in the Ascension Project Women's Challenger in Redding, Calif. The $25,000 tournament is scheduled for Tuesday through Sunday at Sun Oaks Tennis & Fitness. Top-seeded Sofya Zhuk, a 17-year-old Russian ranked 143rd in the world, will meet Ana Veselinovic, a 29-year-old left-hander from Montenegro, on Tuesday at 11:30 a.m.
Zhuk won the Wimbledon girls singles title two years ago and qualified for the women's main draw of the recent U.S. Open before falling to 50th-ranked Yulia Putintseva of Kazakhstan 7-6 (3), 6-3 in the first round. Zhuk has won three singles titles in the minor leagues of women's tennis this year and withdrew from the final of another. Qualifier Urszula Radwanska, who reached No. 29 in the world in 2012 before injuries derailed her career, will play Veronica Miroshnichenko, a 19-year-old left-hander from Russia, on Wednesday. Radwanska, 26, is the younger sister of Agnieszka Radwanska, who's ranked 11th after climbing as high as second in 2012. Seventh-seeded Maria Sanchez, a 27-year-old Modesto native, will face wild card Lorraine Guillermo, a 24-year-old American, on Wednesday. Sanchez, the only seeded American in the draw, won the 2011 Redding doubles title with since-retired Yasmin Schnack of Sacramento. Redding alumni include former world No. 1 Victoria Azarenka of Belarus, current doubles world No. 1 Lucie Safarova of the Czech Republic, and current top-70 singles players Lauren Davis (No. 38) and Jennifer Brady (No. 65), both of Boca Raton, Fla. Twelve years ago, Safarova won the Redding singles title at age 18, and Azarenka reached the quarterfinals at 15. The Redding-based Ascension Project develops athletes into leaders. Here are the singles and doubles draws and Tuesday's schedule. It had all the suspense of a trip to the dry cleaner. Top-ranked Rafael Nadal coasted past 28th-seeded Kevin Anderson 6-3, 6-3, 6-4 today in the U.S. Open in Flushing Meadows, N.Y., for his second Grand Slam singles title of the year and 16th overall. Nadal, 31, ranks second behind 36-year-old Roger Federer, who has 19 Slams. It was Nadal's third U.S. Open title and first since 2013. Because of injuries, he failed to advance past the quarterfinals of 10 consecutive majors from Wimbledon in 2014 through last year's U.S. Open. "Of course, after a couple of years without competing at this very high, high level," Nadal told reporters, "very happy to be back." Anderson, a 31-year-old South African, capitalized on a depleted draw to become the tallest Grand Slam finalist in history at 6-foot-8 (2.03 meters. The top five players in the 2006 year-end rankings -- Andy Murray, Novak Djokovic, Milos Raonic, Stan Wawrinka and Kei Nishikori -- missed the tournament with injuries. At No. 32, Anderson was the lowest-ranked U.S. Open men's finalist since the ATP computer rankings began in 1973. Anderson has played extensively in Northern California, beginning with his NCAA doubles title in the 2006 tournament at Stanford as an Illinois junior. The following year, he reached the final of a $15,000 Futures tournament in Loomis in the Sacramento area, losing to since-retired American Scoville Jenkins. In 2012, Anderson advanced to the quarterfinals of the SAP Open in his only appearance in San Jose and played part-time for the Sacramento Capitals in World TeamTennis. The SAP Open and Capitals folded after the 2013 season. Junior girls -- Not only did the United States sweep the women's semifinal berths, two Americans met in the girls singles final. Fourth-seeded Amanda Anisimova overpowered unseeded Cori Gauff 6-0, 6-2 in a matchup of 16- and 13-year-old potential superstars, respectively. Anisimova, 5-foot-10 (1.83 meters), won the $60,000 Sacramento Challenger in July for her first professional title. She turned pro last September shortly after turning 15. Anisimova was born in Freehold Township, N.J., to Russians Konstantin Anisimov and Olga Anisimova. Amanda speaks Russian at home in Aventura, Fla., but has never been to her parents' homeland. Junior boys -- No. 2 Yibing Wu of China beat No. 1 Axel Geller, a Stanford freshman from Argentina, 6-4, 6-4 for the title. Geller also was the runner-up at Wimbledon in July. The occasion got to Madison Keys but not Sloane Stephens. Showing remarkable poise in the first Grand Slam final for both players, Stephens routed her close friend 6-3, 6-0 in 61 minutes on Saturday in the U.S. Open. It was the first all-American women's final at Flushing Meadows since Serena Williams defeated Venus Williams in 2002 and the most lopsided since Kim Clijsters trounced Vera Zvonareva 6-2, 6-1 in 2010. Stephens, who grew up in Fresno and still has relatives there, made a remarkable comeback from January foot surgery. She became only the second unseeded woman to win the U.S. championships in the Open Era, which began in 1968, and the first American woman not named Williams to capture the title since Lindsay Davenport in 1968. "There are no words to describe how I got here -- the process it took or anything like that," the 24-year-old Stephens, who was born in Plantation, Fla., told reporters, "because if you told someone this story, they'd be like, 'That's insane.' "
Keys committed 30 unforced errors to Stephens' six. "I definitely think my play today came down to nerves and all of that," said the 22-year-old Keys, who won the Bank of the West Classic at Stanford last month, "and I just don't think I handled the occasion perfectly." Keys, a right-hander with a two-handed backhand, had surgery on her left wrist in November and again in June. For the first time in the Open Era, two unseeded women won a Grand Slam singles title in a calendar year. Jelena Ostapenko of Latvia captured the French Open two days after her 20th birthday. Stephens began playing tennis at the advanced age of 9 in Fresno. She moved to Boca Raton, Fla., two years later to train at the Evert Tennis Academy. Stephens' father, John Stephens, was named the 1988 NFL Offensive Player of the Year as a running back for the New England Patriots, and her mother, Sybil Smith, was Boston University's first All-American in women's swimming. John Stephens died in a one-car accident in his native Louisiana in 2009, days before Sloane played in her first U.S. Open match. Junior boys -- Top-seeded Axel Geller, a Stanford freshman from Argentina, beat Timofey Skatov of Russia 6-1, 7-6 (7) to reach his second consecutive Grand Slam final. Geller, who lost to Alejandro Davidovich Fokina of Spain at Wimbledon, will face second-seeded Yibing Wu of China. Wu edged Emil Ruusuvuori of Finland 4-6, 6-3, 7-6 (4). Men's Collegiate Invitational -- Tom Fawcett, a Stanford senior, topped Michael Redlicki, who completed his eligibility at Arkansas in May, 7-6 (4), 6-7 (5), 6-4 for the title. None of the eight players in the event were seeded. Alexis Castorri, a Florida sports psychologist, has helped Kevin Anderson become more positive on the court. But what's she going to tell him about facing Rafael Nadal in the U.S. Open final? Good luck? Pray a lot? You're on your own, buddy? Nadal is heavily favored to beat Anderson, who has played extensively in Northern California, when they meet on Sunday. ESPN will televise the match beginning at 1 p.m. PDT. 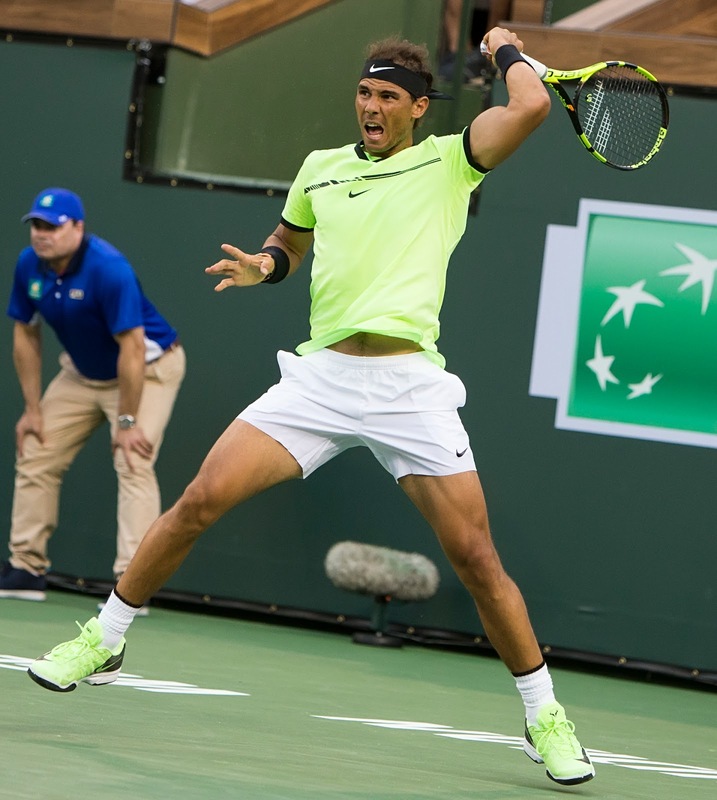 In Friday's semifinals, a revitalized Nadal dismantled 2009 champion Juan Martin del Potro 4-6, 6-0, 6-3, 6-2, and Anderson defeated Pablo Carreno Busta 4-6, 7-5, 6-3, 6-4. Nadal and Anderson are both 31 (Anderson is two weeks older), but that's where the similarity ends. Nadal is a 6-foot-1 (1.85-meter) left-hander from Spain. Anderson is a 6-foot-8 (2.03-meter) right-hander from South Africa, making him the tallest Grand Slam finalist in history. Nadal is seeded first and Anderson 28th. That makes Anderson the lowest-seeded U.S. Open finalist since the ATP's computer rankings began in 1973. Nadal has won 15 Grand Slam singles titles, second in history behind Roger Federer's 19. Anderson will play in his first major final, thanks largely to the injury absences of Novak Djokovic, Andy Murray and Stan Wawrinka. "It's nice that some of them gave us a bit of a shot to make a run at this tournament," Anderson quipped to reporters. Anderson is 0-4 against Nadal but does have one advantage. The pressure will be on Nadal. Anderson, with nothing to lose, can hit out on his shots. Anderson won the NCAA doubles title in the 2006 tournament at Stanford as an Illinois junior. The following year, he reached the final of a $15,000 Futures tournament in Loomis in the Sacramento area, losing to since-retired American Scoville Jenkins. Girls singles -- Cori Gauff, a 13-year-old phenom from Atlanta, defeated Katie Volynets, 15, of Walnut Creek in the San Francisco Bay Area, 6-3, 6-2 in a quarterfinal matchup of unseeded players. In the semifinals, Gauff will meet unseeded Maria Lourdes Carle of Argentina, and fourth-seeded Amanda Anisimova of Hallandale Beach, Fla., will play unseeded Emiliana Arango of Colombia. Anisimova, 16, won the $60,000 Sacramento Challenger in July for her first professional title. Men's Collegiate Invitational -- Tom Fawcett, a Stanford senior, routed Alfredo Perez, a Florida junior, 6-1, 6-2 to reach the final of the eight-player event. Fawcett will face Michael Redlicki, who completed his eligibility at Arkansas in the spring. Redlicki topped Brandon Holt, a USC sophomore and the son of International Tennis Hall of Famer Tracy Austin, 4-6, 6-0, 6-3. Madison Keys serves in last month's Bank of the West Classic at Stanford. Sloane Stephens, who grew up in Fresno, and Madison Keys, who won the Bank of the West Classic at Stanford last month, reached the U.S. Open final in contrasting fashion on Thursday. The unseeded Stephens came within two points of losing before pulling out a 6-1, 0-6, 7-5 victory over ninth-seeded Venus Williams in Flushing Meadows, N.Y. Stephens, hitting fearlessly, won the last three games as the 37-year-old Williams wilted under the pressure. "I have a lot of grit," Stephens, 24, told reporters. "I don't give up. Like, I'm not going to give it to someone. I'm not just going to let them take it from me." Keys, seeded 15th, then needed only 1 hour, 6 minutes to dispatch CoCo Vandeweghe, seeded 20th, 6-1, 6-2 in a rematch of the Bank of the West final. The match would have lasted less than an hour except that Keys left the court at 4-1 in the second set to have her right thigh taped. "I think I played pretty well tonight," deadpanned Keys, 22. Stephens and Keys, who are close friends, will meet on Saturday in the first Grand Slam final for both and the first all-American women's final at Flushing Meadows since Serena Williams defeated Venus Williams in 2002. ESPN will televise the match at 1 p.m. PDT. Stephens and Keys have played each other only once. Stephens won 6-4, 6-2 on a hardcourt in the second round in Miami in 2015, but that could have been a function of age. The U.S. Open finalists have made astonishing recoveries from surgery. 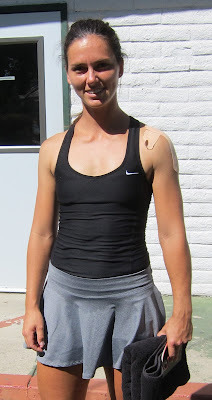 Keys, a right-hander with a two-handed backhand, had procedures on her left wrist in November and June. Stephens underwent surgery on her left foot in January. Ranked as high as No. 11 in 2013, she dropped out of the top 900. Meanwhile, Bob and Mike Bryan's Grand Slam title drought in men's doubles continues. Seeded fifth, the 39-year-old former Stanford stars lost to 11th-seeded Feliciano Lopez and Marc Lopez (no relation) of Spain 3-6, 6-3, 6-4. The Bryans won the last of their record 16 majors in the 2014 U.S. Open. Stanford senior Tom Fawcett defeated Thai-Son Kwiatkowski, who won the NCAA singles title as a Virginia senior in May, 7-6 (5), 6-4 in the first round of the eight-player Men's Collegiate Invitational. Katie Volynets, 15, of Walnut Creek in the San Francisco Bay Area, beat Anastasia Kharitonova of Russia 6-3, 7-6 (4) to reach the girls quarterfinals. Volynets will play 13-year-old U.S. sensation Cori Gauff. Sam Riffice, an 18-year-old Sacramento native now based in Orlando, Fla., lost to Emil Ruusuvuori of Finland 4-6, 6-4, 6-2 in the third round of the boys event. Not long ago, pundits were lamenting the state of U.S. women's tennis after Serena Williams. Venus Williams went into a tailspin after being diagnosed with Sjogren's Syndrome, a chronic disease that saps energy and causes joint pain, in 2011. Sloane Stephens and Madison Keys slumped after reaching the Australian Open semifinals at 19 in 2013 and 2015, respectively. CoCo Vandeweghe was volatile and erratic. As it turns out, U.S. women's tennis is doing just fine. Vandeweghe and Keys, who met in the Bank of the West Classic final at Stanford last month, completed an all-American semifinals with straight-set victories today in the U.S. Open in Flushing Meadows, N.Y. The 20th-seeded Vandeweghe upset top-ranked Karolina Pliskova 7-6 (4), 6-3, and the 15th-seeded Keys dominated qualifier Kaia Kanepi, a former top-15 player from Estonia, 6-3, 6-3. Ninth-seeded Venus Williams will face Stephens, a Fresno product, on Thursday at 4 p.m. PDT (ESPN), followed by Keys against Vandeweghe. Stephens defeated Williams 7-6 (5), 6-1 in the first round of the 2015 French Open in their only meeting to date. Keys is 2-0 against Vandeweghe, and both matches have come in the last five weeks on hardcourts. This is the first time four American women have reached the semifinals of a Grand Slam tournament since Wimbledon in 1985 (Chris Evert, Czech-born Martina Navratilova, Zina Garrison and Kathy Rinaldi) and the first time it has happened in the U.S. Open since 1981 (Evert, Navratilova, Tracy Austin and Barbara Potter). It's also the first time an American woman other than Serena Williams will capture a Grand Slam singles title since Venus Williams won Wimbledon in 2008. The last U.S. woman other than Venus or Serena Williams to win a major singles crown was Jennifer Capriati at the 2002 Australian Open. Serena Williams delivered her first child on Friday. She and her fiance, Reddit co-founder Alexis Ohanian, reportedly will move to San Francisco, where the social news website is based, after the wedding. The distant future looks bright for U.S. women's tennis, too, with promising teenagers CiCi Bellis (18) from Atherton in the San Francisco Bay Area, Sofia Kenin (18), Kayla Day (17), Claire Liu (17), Amanda Anisimova (15) and Cori Gauff (13). 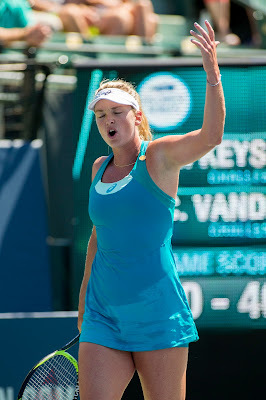 Vandeweghe, 25, defeated the No. 1 player en route to a Grand Slam semifinal for the second time this year. She knocked off Angelique Kerber in the round of 16 at the Australian Open. The loss by Pliskova, last year's runner-up to Kerber at Flushing Meadows, means Garbine Muguruza will ascend to No. 1 for the first time. Keys defeated Vandeweghe 7-6 (4), 6-4 for the Stanford title. Vandeweghe also was the runner-up in the 2012 Bank of the West Classic. She lost to Serena Williams after entering the main draw as a lucky loser. Pliskova reached the 2015 final at Stanford, falling to Kerber. Vandeweghe won the U.S. Open girls singles title at 16 in 2008 and played for the now-defunct Sacramento Capitals in World TeamTennis in 2009 and 2012. Venus Williams made her pro debut in the 1994 Bank of the West Classic, when it was held at the Oakland Coliseum Arena, and won the title at Stanford in 2000 and 2002. Today's junior matches were postponed by rain until tomorrow. One boy and one girl from Northern California have advanced to the third round in singles. Sam Riffice, an 18-year-old Sacramento native now based in Orlando, Fla., will meet Emil Ruusuvuori of Finland. And Katie Volynets, 15, of Walnut Creek in the San Francisco Bay Area will play Anastasia Kharitonova of Russia. There's more to U.S. women's tennis than the Williams sisters. Sloane Stephens reached her first Grand Slam semifinal in four years today, edging 16th-seeded Anastasija Sevastova of Latvia 6-3, 3-6, 7-6 (4) in the U.S. Open in Flushing Meadows, N.Y.
Stephens, a 24-year-old Fresno product, rallied twice from a break down in the final set to become the first American woman other than the Williams sisters in the U.S. Open semis since Jennifer Capriati and Lindsay Davenport in 2004. Both Stephens and Sevastova have rebounded after extended injury layoffs. Stephens, 24, had foot surgery in January and returned to competition in July after missing 11 months. "I'm getting teary-eyed," Stephens said afterward in an on-court interview. "This is incredible. When I started my comeback before Wimbledon, I could have never even dreamed of having these results in my home Slam, at my favorite tournament. It's indescribable." Sevastova, 27, retired in 2013 for two years because of back problems. She was playing in her second consecutive U.S. Open quarterfinal after sitting out of every Grand Slam tournament for four years (2012-15). Stephens, who stunned Serena Williams to reach the 2013 Australian Open semifinals, will face No. 9 seed Venus Williams, a 6-3, 3-6, 7-6 (2) winner over No. 13 Petra Kvitova. Stephens defeated Venus 7-6 (5), 6-1 in the first round of the 2015 French Open in their only meeting to date. It's unlikely, but the United States could monopolize the women's semifinals. In the top half of the draw on Wednesday, No. 20 seed CoCo Vandeweghe will take on No. 1 Karolina Pliskova of the Czech Republic, and No. 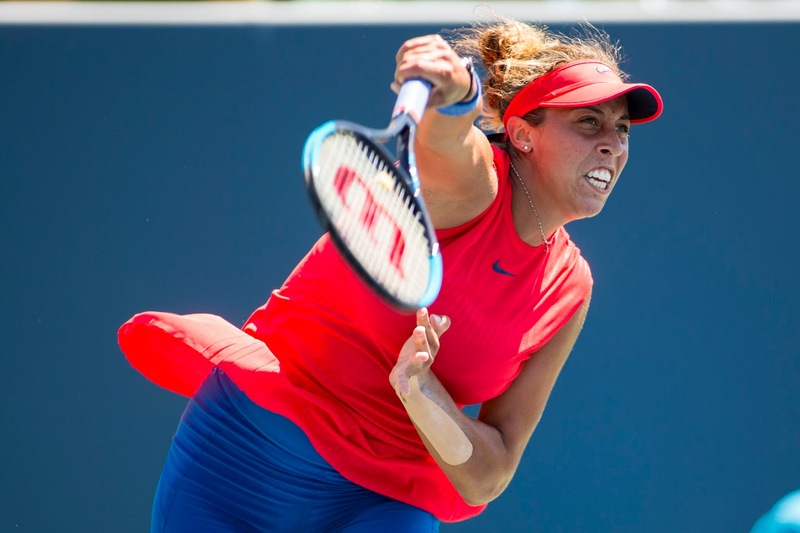 15 Madison Keys will meet qualifier Kaia Kanepi of Estonia. Meanwhile, the last U.S. hope in men's singles lost. No. 28 seed Kevin Anderson subdued No. 17 Sam Querrey, a 29-year-old San Francisco native, 7-6 (5), 6-7 (9), 6-3, 7-6 (7) in a 3-hour, 26-minute battle that ended at 1:50 a.m. EDT. 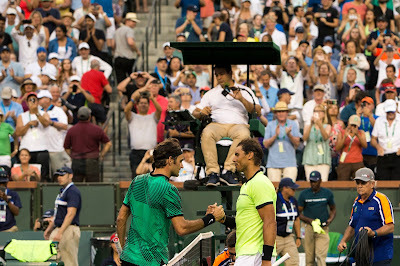 It was the tallest quarterfinal matchup in a Grand Slam tournament in the Open Era, which began in 1968. Anderson is 6-foot-8 (2.03 meters), and Querrey is 6-foot-6 (1.98 meters). Anderson will play No. 12 seed Pablo Carreno Busta of Spain on Friday in the first major semifinal for both. Carreno Busta, who had surgery for a herniated disc in 2012, dismissed No. 29 Diego Schwartzman of Argentina 6-4, 6-4, 6-2. Anderson, 31, is 2-0 against Carreno Busta, 26. Fifth-seeded Bob and Mike Bryan (Stanford, 1997-98) advanced to the men's doubles semifinals with a 6-4, 7-5 victory over Frenchmen Julien Benneteau and Edouard Roger-Vasselin. The 39-year-old Bryans will face 11th-seeded Feliciano Lopez and Marc Lopez (no relation) of Spain. In junior singles, two players from Northern California moved into the third round. Sam Riffice, who was born in Sacramento and lived in nearby Roseville until age 15, dominated Tomas Machac of the Czech Republic 6-3, 6-0. The 18-year-old Riffice, now based at the USTA National Campus in Orlando, Fla., has not lost more than three games in a set in the tournament. He will meet Emil Ruusuvuori of Finland for a quarterfinal berth. Ruusuvuori upset No. 13 seed Sebastian Korda of Bradenton, Fla., 6-3, 6-3. Korda is the son of Czechs Petr Korda, the 1998 Australian Open champion, and Regina Rajchrtova, who lost in the first round of the 1988 Olympics in Seoul. Katie Volynets of Walnut Creek in the San Francisco Bay Area defeated Natasha Subhash of Fairfax, Va., in the Washington, D.C., area 6-4, 6-7 (5), 6-1. Volynets, a 15-year-old Walnut Creek native whose parents are from Ukraine, will play Anastasia Kharitonova of Russia. Kharitonova ousted top seed and reigning French Open junior champion Whitney Osuigwe of Bradenton 6-4, 4-6, 6-2. Fifth-seeded Bob and Mike Bryan beat ninth-seeded Oliver Marach of Austria and Mate Pavic of Croatia 4-6, 6-3, 6-4 today to reach the quarterfinals of the U.S. Open in Flushing Meadows, N.Y.
Marach and Pavic advanced to the Wimbledon final in July, falling 13-11 in the fifth set to Lukasz Kubot of Poland and Marcelo Melo of Brazil. Marach and Pavic were playing in their first Grand Slam title match. The 39-year-old Bryans (Stanford, 1997-98) will meet unseeded Frenchmen Julien Benneteau and Edouard Roger-Vasselin, who defeated young Russians Karen Khachanov and Andrey Rublev 4-6, 7-6 (3), 6-2. The Bryans will try to avenge a 7-6 (4), 4-6 [10-6] loss to Benneteau and Roger-Vasselin on grass in the Queen's Club quarterfinals in London in June. The Bryans grew up in Camarillo in the Los Angeles area and now live in Florida. 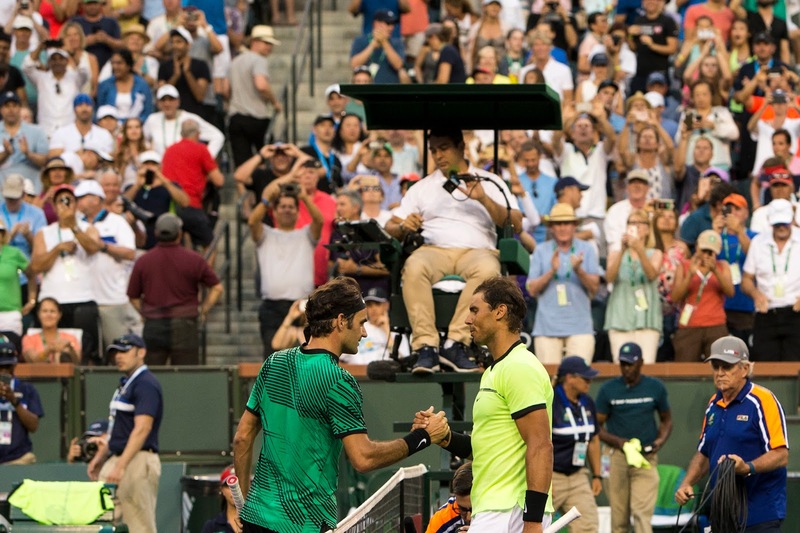 They own a record 16 Grand Slam men's doubles crowns, including five in the U.S. Open, but are trying to end a three-year title drought in majors. Benneteau and Roger-Vasselin won the 2014 French Open and were the runners-up to countrymen Pierre Hugues-Herbert and Nicolas Mahut at Wimbledon last year. In the first round of boys doubles today, fifth-seeded Sebastian Baez of Argentina and Thiago Seyboth Wild of Brazil nipped Americans Danny Thomas and Sam Riffice, a Sacramento native now based in Orlando, Fla., 1-6, 7-6 (6) [11-9]. Ten years ago, two towering prospects met for the first time in the opening round of the $75,000 Sacramento Challenger at the venerable Sutter Lawn Tennis Club. On Tuesday, Sam Querrey and Kevin Anderson will square off for a berth in the U.S. Open semifinals. The 17th-seeded Querrey, a San Francisco native, dismantled 23rd-seeded Mischa Zverev of Germany 6-2, 6-2, 6-1 in 1 hour, 16 minutes in Sunday's late match at 23,771-seat Arthur Ashe Stadium in Flushing Meadows, N.Y.
Zverev, the older brother of sixth-ranked Alexander Zverev, stunned then-No. 1 Andy Murray to reach the quarterfinals of the Australian Open in January. South Africa's Anderson, seeded 28th, defeated Paolo Lorenzi of Italy 6-4, 6-3, 6-7 (4), 6-4 during the day session in Louis Armstrong Stadium. The 6-foot-6 (1.98-meter) Querrey ripped 55 winners, including 18 aces, and committed just eight unforced errors in the fastest men's match of the tournament. "I really couldn't have done anything better out there tonight," Querrey, 29, crowed in his on-court interview. "It was my first time playing out here at night, so I wanted to make the most of it. "I was a little nervous at first, but I came out playing hot. Tennis is a game of momentum, and once I broke early, I felt like I was off to the races. I felt comfortable three minutes into the match, and that was the key." With the win, Querrey will become the No. 1 American for the first time since July 2013. He currently is third at No. 21 behind John Isner (No. 15) and Jack Sock (No. 16). On the women's side, Fresno product Sloane Stephens also reached the quarterfinals by beating a seeded German. Stephens, who had foot surgery in January, topped No. 30 Julia Goerges 6-3, 3-6, 6-1. Stephens, who ousted Serena Williams to advance to the Australian Open semifinals in 2013, will face 16th-seeded Anastasija Sevastova of Latvia for the first time. Sevastova defeated wild card Maria Sharapova 5-7, 6-4, 6-2 to move into the U.S. Open quarterfinals for the second consecutive year. Querrey is the first American man to gain the quarterfinals of the U.S. Open since Andy Roddick and Isner in 2011 and the only one remaining in singles this year. The 6-foot-8 (2.03-meter) Anderson, though, might as well be American. A 31-year-old veteran, he starred at the University of Illinois (2005-07), has an American wife and lives in Gulf Stream, Fla. Both Querrey and Anderson played part-time for the now-defunct Sacramento Capitals in World TeamTennis in 2012, but not together. Querrey is 9-6 against the 32nd-ranked Anderson, beginning with a 6-3, 3-6, 6-3 victory in Sacramento. They have split two matches this year, Querrey prevailing in five sets in the fourth round at Wimbledon in July and Anderson winning 6-4, 6-1 in the third round in Montreal last month. Their half of the draw will produce a first-time Grand Slam finalist, and the stars seem aligned for Querrey. Rafael Nadal and Roger Federer are in the other half of the draw. The highest seed in Querrey and Anderson's half is No. 12 Pablo Carreno Busta of Spain. Murray, Novak Djokovic, Milos Raonic, Stan Wawrinka and Kei Nishikori -- the top five players, in order, in the 2016 year-end rankings -- missed the tournament with injuries. Also, Querrey is riding a wave of confidence after advancing to his first Grand Slam semifinal at Wimbledon and winning Los Cabos last month to give him a "Sombrero Double" with the Acapulco title in March. Last but not least, Querrey will have the support of the boisterous New York crowd. Anderson, meanwhile, will play in his second major quarterfinal. He lost to Wawrinka at that stage two years ago in the U.S. Open after upsetting Murray in the round of 16. In the first round of the junior tournaments at Flushing Meadows, two players from Northern California beat seeds in singles. Sam Riffice, an 18-year-old Sacramento native now based in Orlando, Fla., knocked off No. 4 Yuta Shimizu of Japan 6-3, 6-2. And Katie Volynets, 15, of Walnut Creek in the San Francisco Bay Area, took out No. 13 Emily Appleton of Great Britain 6-4, 6-4. Timea Babos, Hungary, and Andrea Hlavackova (5), Czech Republic, def. Raquel Atawo (Fresno native; Cal, 2001-04; San Jose resident), United States, and Sabine Lisicki, Germany, 6-3, 6-4. Kiki Bertens, Netherlands, and Johanna Larsson (11), Sweden, def. Julia Boserup and Nicole Gibbs (Stanford, 2011-13), United States, 6-2, 6-3. Lucie Hradecka, Czech Republic, and Marcin Matkowski (8), Poland, def. Raquel Atawo (Fresno native; Cal, 2001-04; San Jose resident), United States, and Aisam-Ul-Haq Qureshi, Pakistan, 3-6, 6-3 [10-4]. Fifth-seeded Bob and Mike Bryan routed Australians Nick Kyrgios and Matt Reid 6-1, 6-1 today in the second round of the U.S. Open in Flushing Meadows, N.Y. The 39-year-old Bryans (Stanford, 1997-98) will meet ninth-seeded Oliver Marach of Austria and Mate Pavic of Croatia on Monday for a quarterfinal berth. Marach and Pavic reached the Wimbledon final in July, falling 13-11 in the fifth set to Lukasz Kubot of Poland and Marcelo Melo of Brazil. It was the first Grand Slam men's doubles final for Marach, Pavic and Kubot and second for Melo, who lost in the 2013 Wimbledon title match with Ivan Dodig of Croatia. The Bryans grew up in Camarillo in the Los Angeles area and now live in Florida. They are trying to end a three-year Grand Slam title drought in men's doubles. They own a record 16 major crowns, including five in the U.S. Open. In women's doubles, the second-round match pitting 11th-seeded Kiki Bertens of the Netherlands and Johanna Larsson of Sweden against Los Angeles-area residents Julia Boserup and Nicole Gibbs (Stanford, 2011-13) was suspended by rain at 1-1. The match is scheduled to resume on Sunday at about 5 p.m. EDT. More rain is forecast for the morning but should end by noon. Matches are scheduled to begin at 11 a.m.
Gibbs' first-round singles match against Veronica Cepede Royg of Paraguay also was suspended overnight by rain. Gibbs won in three sets before falling to top-ranked Karolina Pliskova of the Czech Republic in three sets in the second round. Sam Querrey, right, plays doubles with Gilles Mueller at Indian Wells in March. Sam Querrey did his part. But John Isner was upset, preventing an all-American showdown on Labor Day weekend for a berth in the U.S. Open quarterfinals. Querrey, seeded 17th, defeated Radu Albot of Moldova 4-6, 6-2, 6-4, 6-4 today in the third round in Flushing Meadows, N.Y., to equal his best showing in the U.S. Open. He also reached the round of 16 in 2008 and 2010. No. 10 seed Isner fell to No. 23 Mischa Zverev, a Moscow native who plays for Germany, 6-4, 6-3, 7-6 (5) in the first match of the night session in 23,771-seat Arthur Ashe Stadium. Halfway through the third round, Querrey is the only remaining U.S. man in singles. On the women's side, resurgent Sloane Stephens beat Ashleigh Barty of Australia 6-2, 6-4 to reach the fourth round of a major for the first time since the 2015 French Open. Querrey, a 29-year-old San Francisco native now living in Santa Monica in the Los Angeles area, will meet Zverev, a 30-year-old left-hander, for the first time on Sunday. Querrey is riding a wave of confidence after reaching his first Grand Slam semifinal in July at Wimbledon and completing a "Sombrero Double" with the Los Cabos title last month. He also won Acapulco in March. The bottom half of the U.S. Open draw, in which Querrey and Zverev are situated, will feature a first-time Grand Slam finalist following No. 29 seed Diego Schwartzman's 4-6, 7-5, 7-5, 6-4 victory over No. 5 Marin Cilic. The tournament is missing Andy Murray, Novak Djokovic, defending champion Stan Wawrinka, Kei Nishikori and Milos Raonic because of injuries. Stephens, a 24-year-old Fresno product, returned to competition at Wimbledon after missing 11 months because of foot surgery. The layoff changed her perspective. "Before I was, like, so emotional. Everything always got to me," Stephens, who upset Serena Williams to reach the semifinals of the 2013 Australian Open, told reporters. "Now, my life is good, everything's good. I play a sport for a living. I don't operate on people. This is not life or death. It's hard to realize that when you're out there playing, because there's a lot riding on it: prize money, points, so many things go into it. "Now I'm kind of, like, I do this for fun. I love tennis. There's not a lot of people that can say, like, Oh, yeah, I go and play tennis every day, and sweat, see all my friends, hang out, work out, and take pictures. That's it, right? I think I have it pretty good." Stephens will play No. 30 seed Julia Goerges of Germany on Sunday and could face 2006 champion Maria Sharapova in the quarterfinals. Stephens is 4-1 (4-0 on hardcourts) against Goerges, including a 6-1, 7-6 (3) victory two weeks ago in the Cincinnati quarterfinals. Sharapova defeated 18-year-old American Sofia Kenin 7-5, 6-2 in a late matchup of wild cards in Arthur Ashe Stadium and will face No. 16 seed Anastasija Sevastova of Latvia. Kenin, a Moscow native who grew up idolizing Sharapova, won $60,000 Challengers in Stockton in July and Sacramento last year. She could turn pro, allowing her to keep $144,000 for reaching the third round of the U.S. Open. Julia Boserup and Nicole Gibbs (Stanford, 2011-13), United States, def. Naomi Osaka, Japan, and Francesca Schiavone, Italy, 6-3, 6-2. Sorana Cirstea, Romania, and Sara Sorribes Tormo, Spain, def. Kristie Ahn (Stanford, 2011-14), and Irina Falconi, United States, 6-3, 6-2. Qiang Wang and Yafan Wang, China, def. 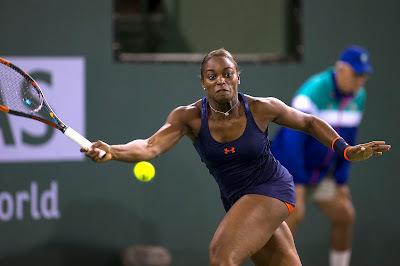 Sloane Stephens (Fresno product) and Taylor Townsend, United States, 6-4, 6-4.